The Mossberg Tactical .22 caliber rifle has emerged as one of the good priced AR style rimfire rifles. It’s main competition is the Smith and Wesson MP 15-22 which is almost double the price point. The Mossberg has the benefit of being easily customizable. It has a free floating tactical rail that is ready for you to add any goodies onto any side of the rifle and be ready to go at any time. Plus let’s face it, it looks cool. For half the cost of the Smith and Wesson version you get a rifle that looks like an AR-15 without any of the kick as well as cheaper costs. Like anyone, I’m tired of buying centerfire ammunition to practice with on an AR-15 platform that’s chambered in .223 ammunition and spending a grocery bill’s cost on a trip to the shooting range. Unfortunately the stock felt a little cheaper to me than either the Ruger 10/22 or Smith and Wesson MP 15-22. It’s plastic coated and this is one of those areas where I feel like you get what you pay for. The rifle itself functioned well on our trip to the range and it had some of the accessorizing options for the cost. 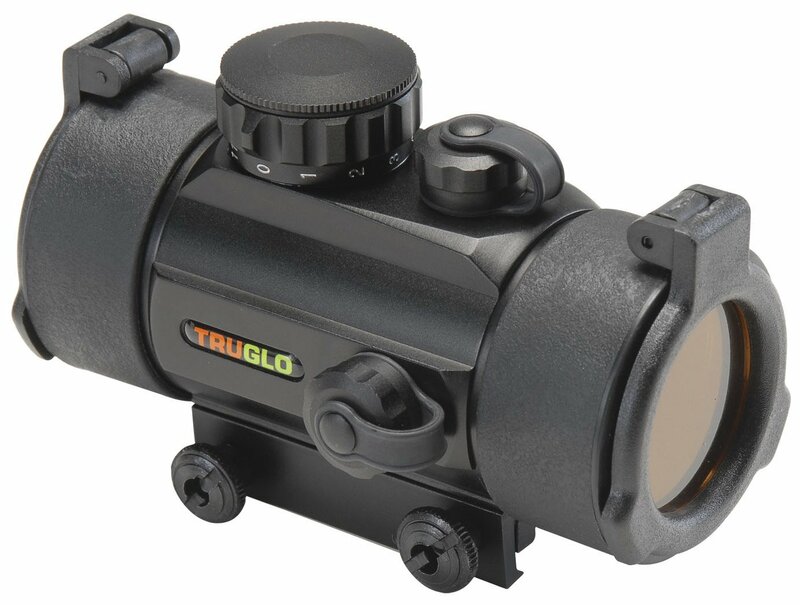 After pulling off our Truglo Red-Dot Sight from our AR-15, it easily mounted up to the Mossberg and within a few dials, I was hitting consistently in 3 inch groups from 50 yards out. I am not an expert marksman, but I was happy with the results. After 500 rounds through it, I found that the magazine had some issues. It did not load as smoothly as the other rifles I have shot in the .22 caliber rifle categories. After 3 failure to load issues in the first magazine alone during my first trip to the range, I let the magazine sit full in my safe until taking it back to the range a couple weeks later. That seemed to have done the trick the second time around as I did not have any loading issues that trip and the rifle functioned well. My guess is that it was just a spring tension issue which happens to the rifles out there, and is often times corrected by keeping the magazines loaded for a couple weeks before taking it back out to the range. Overall, I was impressed with the Mossberg. For the price it is a great entry level .22 caliber rifle and it looks cool. Those that use an AR-15 for a living (law enforcement) will probably enjoy using this for practice to cut down on costs. From a survival standpoint, it will not match up to the more popular Ruger 10/22 carbine in my opinion. Then again, you can never have too many cool looking .22 rifles. If you are looking for a good budget rifle that has some of the tactical looks to go with it, then the Mossberg Tactical might be a great start for you.